The Insider's Guide to UC | Tūpono - Page 523 of 649 - Where Canterbury students share their experiences. The University of Canterbury Library recently found a precious copy of what is globally acknowledged as the first geological map of any country ever produced with connections to early Canterbury. In celebration of the 200th anniversary of the creation of Smith’s iconic work, and the recent ‘rediscovery’ of UC’s original copy donated by Robert Speight, the Macmillan Brown Library and the Geological Sciences Department are holding an exhibition and public lecture on Monday 20 July. 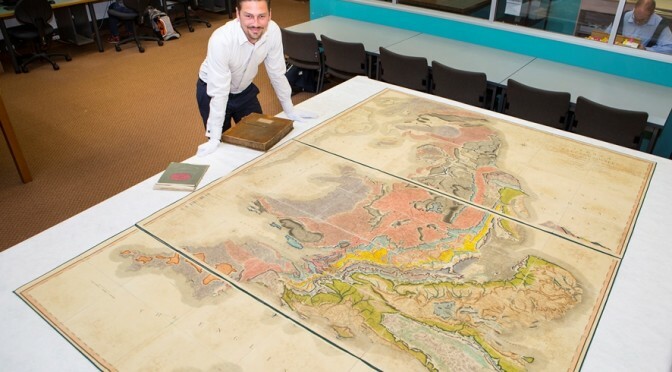 The exhibition will feature UC’s incarnation of Smith’s map, significant related geological works from the University’s Rare Books Collection, geological samples, equipment and images. The exhibition will highlight the history of our map, it’s relation to Canterbury and the significance of the map to the development of geological sciences and geological mapping, past and present, at UC. The public lecture will be presented by Emeritus Professor Patrick De Deckker (Australian National University). Patrick recently attended the 200th anniversary celebrations for the Smith map in England and is a Honorary Fellow of the Geological Society of London. In 2007, he was awarded the Order of Australia Medal for ‘service to science through research and teaching’. His more than 200 publications give clear evidence of his interest in a broad range of topics with special emphasis on geological records of climate and environmental change, and the history of science. The UC map will be displayed in the foyer before and after the public lecture. If you want to attend the lecture or drop in and see the map click here and here. Do you work for UC part time, maybe as a tutor, lab assistant, research assistant or another role? All UC staff members under 35 are welcome to come along to the young staff mixer hosted by the Tertiary Education Union. 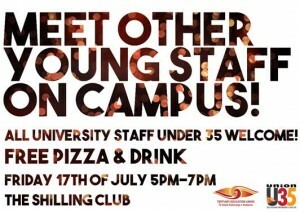 Free pizza and drink provided! 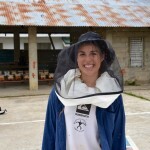 Five UC students have returned from the Philippines after helping a poor community of 2,280 people establish hives of stingless bees to aid the community’s recovery from typhoon devastation. 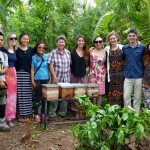 The Canterbury students helped cultivate 32 native bee hives for organic honey production in Barangay Tarong in Carles, Iloilo during a week-long visit to the community, which was hard-hit by typhoon Haiyan in November 2013. Nicknamed ‘The Bee Team’, the students are Claire Musson, Kilali Gibson, Victoria Ning, Jessie Weber-Sparrow and Callum Clark. 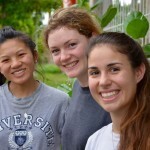 The team won UC’s 21 Day International Challenge in May. 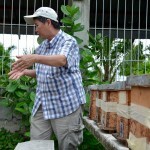 The team established a beekeeping co-operative for honey and by-product production including pollen, propolis and cosmetic ingredients using the stingless native honeybee species Tetragonula biroi. Read more about their time in the Philippines here.